Let’s review some of the new features that have been introduced since version 5.4! DLNA, which stands for “Digital Living Network Alliance”, is an industry-wide standard for sharing data over a network. 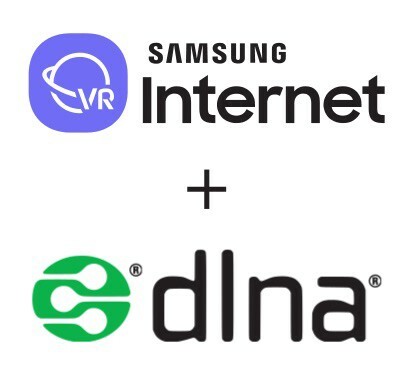 This makes it easy for users to stream their videos and images from DLNA servers (PCs, game consoles, mobile devices, …) to the Samsung Internet browser inside the Gear VR. The way to do this is to click on the new “Network” tab on the menu, and then see the available servers and browse to the desired file. Note that you need to be part of a network and have DLNA servers in the network. Some video game consoles and PCs are automatically configured to serve as servers. Stream media from DLNA servers in the network. But that is not the only new feature present in the latest versions. As well as the performance enhancements, from version 5.4, it includes some of the most-liked features of its Android version, such as Content Blockers, Secret Mode and USB OTG support. 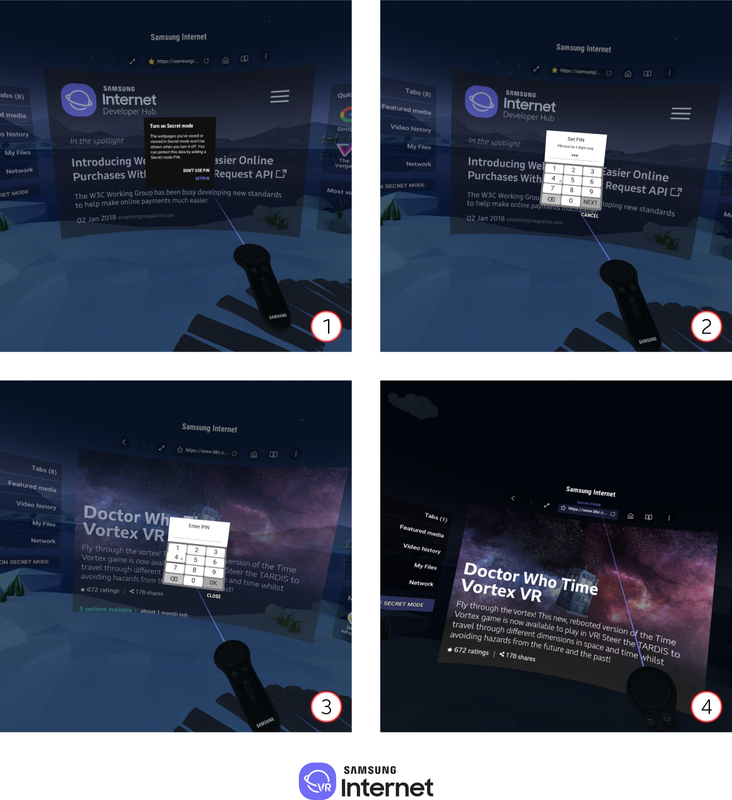 This adds to the Gear VR controller and Samsung Internet for Android integration, Voice Input, Screen Mirroring and Multi-Language support that has been already present in the browser for some time. Let’s familiarize ourselves with some of these new features to see how they enhance the user experience overall. From version 5.4 onward, under the “Content blockers” tab in Samsung Internet Settings, you can select up to 5 content blockers to use in the browser. These allow the user to browse without unnecessary content cluttering their screen. It may also reduce data and battery usage, and speed up loading times, since you are blocking content that is not relevant. Secret mode was introduced in version 5.4 as well, and it enables a more private browsing experience protected with a PIN number. As seen in the previous image, the first time you access “Secret Mode” with the option on the left, you are prompted to Set up a PIN which will be required to access the session. Once in, the webpages you’ve saved or viewed wont be shown when you turn it off. It also supports private bookmarks and video history. 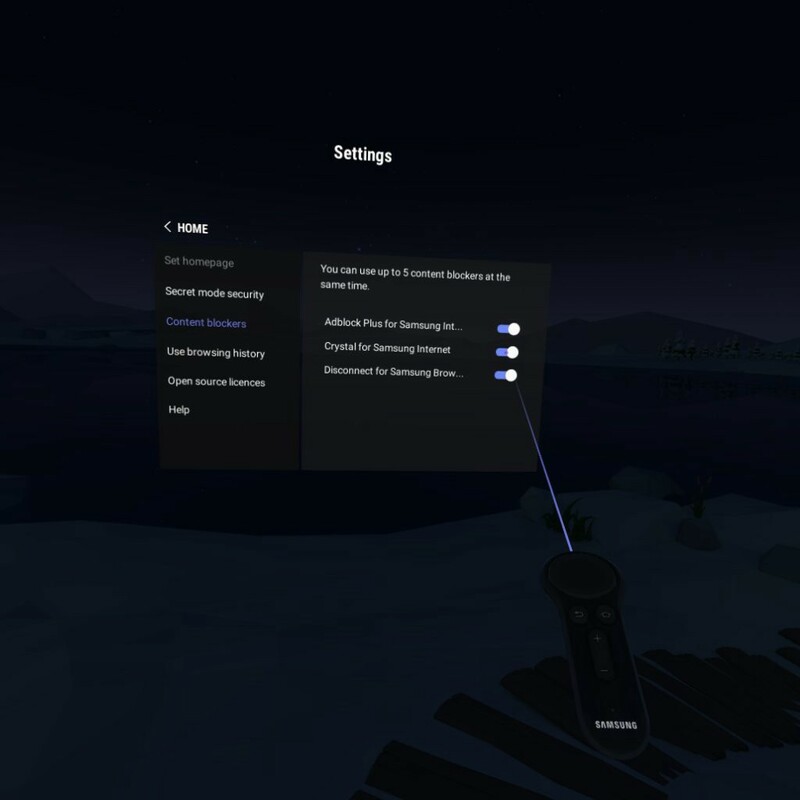 Finally, remember that you can also change the Skybox of the webpage you are in, and play 360 videos natively in the browser. Also the OTG (On The Go) feature allows you to use USB drives and consume them from the browser. As you can see, there are plenty of ways you can enjoy your media, and DLNA is a welcome addition to the mix! 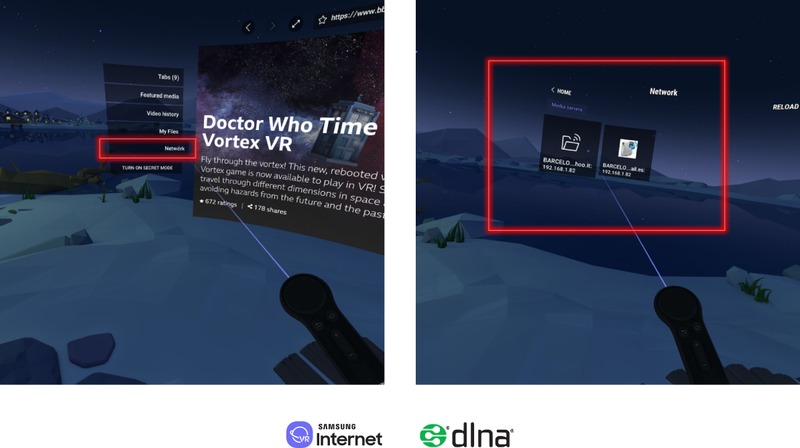 You can get the latest version of the browser in the Oculus Store. For more information on developing for Samsung Internet for Gear VR, visit the developer site.